At just 28 years old, Ali von Paris is one of the youngest and fastest-rising entrepreneurs in the Baltimore area. What began as a fun project headquartered in her dorm room is now Ali’s career. 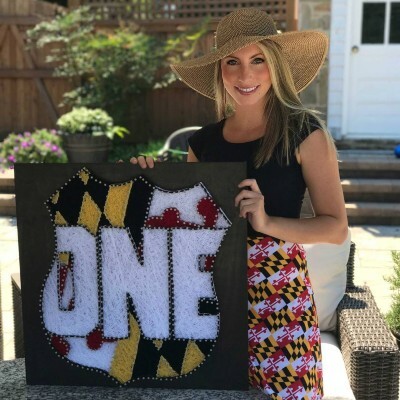 Today, her company, Route One Apparel, is the premier source for trendy and affordable Maryland pride apparel and accessories. The company now offers a full line of over 1,500 items that are sold online and in retailers throughout the area. Route One Apparel merchandise can be seen sported by local icons and fans of all ages as the Maryland pride trend continues to gain popularity throughout our state. Ali has received many accolades in recent years, including being named both one of Baltimore’s “Women to Watch” by the Baltimore Sun and Maryland’s 50 “Very Important Professionals Successful by 40” by the Daily Record in 2017. She was appointed to the Preservation Maryland Board in 2017.